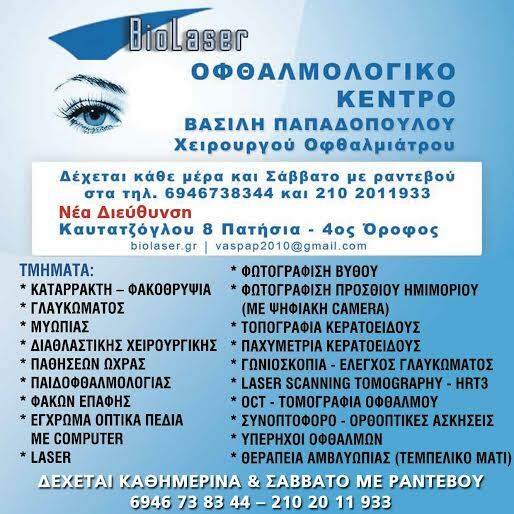 Modern Medicine targeting to Human Services..
Biolaser Eye Center was established in 1991 by Vasilis Papadopoulos (eye surgeon and coordinator of the ophthalmology sector of the center). Our main intention and our basic difference from other medical centers is that we build an individual interpersonal relation between doctors and patients. Modern diagnostic and therapeutic methods.